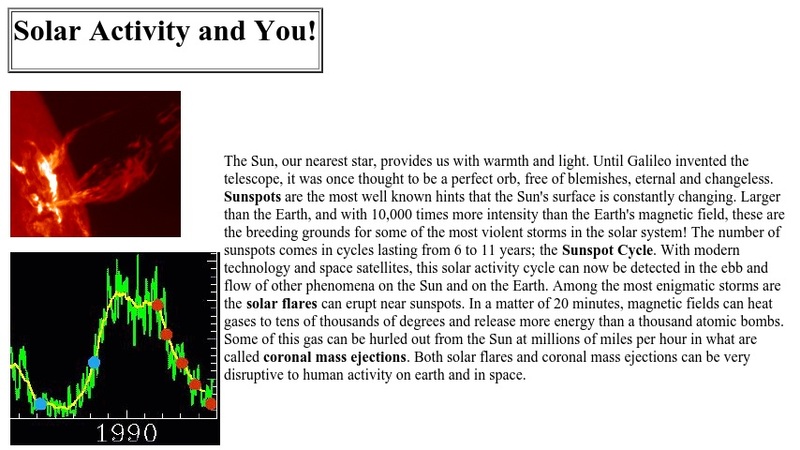 Visitors to this site can read about sunspots, solar wind, solar flares, and coronal mass ejecions. Topics include how they interact with the Earth's magnetic field, auroras, and possible damaging effects of geomagnetic storms on satellites and ground-based technology. A list of "Would You Believe" factoids is included.